Coach K said earlier today that you remained on campus and would be working a lot with the staff. Can you elaborate on that? Yeah, that's the plan. I had this surgery done after school and wanted to get it back right whole getting my body in the best shape it can be. I had a deviated septum, so it was just a little small procedure. So now I am working out and taking summer classes and like I said trying to get in shape that I can. Has it made a difference -- the way you are able to breathe when working out? Yeah, there's a difference. I kid of got used to it at first but now that I've had the procedure I can feel a big difference in my breathing. A lot is expected of you this season. It looks like you have a golden opportunity to be the man in the middle starting. Talk about that a little bit. I am looking forward to it. It's just something you work for; to be able to do things like that. So, I am just thankful for the opportunity. We've got a great group of freshman coming in, along with the returning guys that played, so I am looking forward to the year. You were not able to take a trip with the team last season when Coach K had a procedure. Do you feel the upcoming trip to Canada will be beneficial? Yeah I feel like it's going to be real beneficial. Like you said, we were not able to take the trip last year so we don't know all the benefits. Instead of battling each other until the season starts we can play against competition and that will be good for us. Coach K said he hadn't named captains yet, but is that something you think about a little bit being an upperclassmen? Yeah, I mean I have obviously played on two great teams that had great captains so I have learned from them. And that is something if he were to give me that type of title, I would embrace it. Yeah, I feel like it's a personal thing. I really don't have much to prove to anybody other than myself and this coaching staff. So I am just working this summer and looking forward to this year. It seems like you are just trusting the process, letting things work out in their own time. Would that be true? Yeah, I mean I know the type of work I put in and I am confident in myself and the people around. I think we're going to have a great year. The pre season prognosticators will probably say Duke has two players in the post who will play a lot. You're will likely play a lot of minutes. Will that put any pressure on you? Naw. I feel like that would be a lot to think about. You just focus on being the best player that we can for this upcoming team. I really don't feel like we have to worry all the other little things. We've just got to focus on ourselves. What is the one area that you feel like you need to improve the most on next season? We are going to be more versatile. We've got a different group of guys compared to last season. We've got guys who can play different positions. Really, just being comfortable at each spot on the floor. When I covered you school, you floated out a lot for some shots. Do you think that will be a part of your game this season? Yeah. That is something I put a lot of effort into and I definitely feel like I can do that. What has it been like to practice against players like Harry Giles and Marvin Bagley while at Duke? It's been a huge help. You come here to get coached by the best and play against the best. 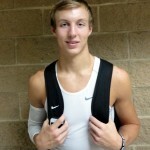 Rodney Hood, Rasheed Sulaimon and Alex Murphy share their summer plans and more at Blue Devil Nation Premium. One on one interviews can be found on the members message board. It's time of year again when every team in America (well, those that are still playing) is in the same boat. You win, you advance or you lose and you go home. The stark reality of that makes for a bundle of emotions and nerves. Thankfully for Duke fans, Coach K is at the helm and this obviously will not be his first dance. But the road will be a tough one. BDN starts our tournament coverage today with the latest edition of our Duke Basketball Notebook. The last thing I wanted to do was whine about the Blue Devils' seeding yesterday, but once the pairings were announced, I was like, "you've got to be kidding me." But it's not worth a lot of time at this point, because there are no words or actions that will change a thing and to get too caught up in it will serve no purpose moving forward. The Midwest field is loaded. I could point to all the teams and All American players in the region, but you've probably already heard all of that. So let me just say that a Louisville vs Duke matchup, should it happen, is a Final Four quality game at worst. In fact, in my opinion Midwest #3 seed Michigan State could feasibly beat all four of the top seeds in the West Regional on a neutral court and none of them would be an upset. In short, the committee did Duke no favors. While they claimed to look at a lot of factors in making their seeding and bracketing decisions, is seems their criteria were only loosely applied when it came to Duke. Over the course of this season, Duke faced a brutal schedule. Yet when at full strength, the Blue Devils lost a single game. Where is the reward for that? Why should this team have to play a rematch with a Louisville team which is the overall #1 seed, just to get to the Final Four, if Duke gets that far? Ridiculous. I wouldn't give you a wooden nickel for the various talking heads' predictions this time of year. I have never been one to give too much weight to the "What have you done for me lately" bit. I didn't pick N.C. State, the pre-season favorite, to win the ACC as the media did, nor will I make too much over Duke's one untimely loss to Maryland in the ACC Tournament. Now that the parings have been announced, none of the so-called experts are giving Duke a chance, which Coach Krzyzewski may use as a motivator heading to Philly. But before the loss the Maryland, those same talking heads were close to naming Duke one of the teams to beat for all the marbles. Well, guess what? They still are a team to beat and their body of work shows they are capable of beating anybody anywhere. The fan part of me is loving the Blue Devils flying below the radar in a world which seems to think you're only as good as your last game. It would not shock me if there were some grumblings within the program when you compare the Midwest bracket to the West, but you can bet that Krzyzewski and company are only focused on Albany and the winner of the Creighton vs. Cincinnati game. First things first for Duke. The Blue Devils should handle Albany and I am not taking them lightly, but I do not expect a Lehigh upset here. The next game will be very competitive and both Creigthon and Cincy offer different challenges, each a stiff one. We'll talk more about that later in the week. - Duke has never played Albany in the NCAA Tournament. - Duke is undefeated at 4-0 in the state of Pennsylvania in NCAA play. 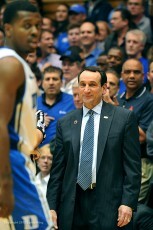 - Duke is 79-24 in th NCAA Tournament under Mike Krzyzewski. This will be the Blue Devils' 37th overall appearance in the tournament. 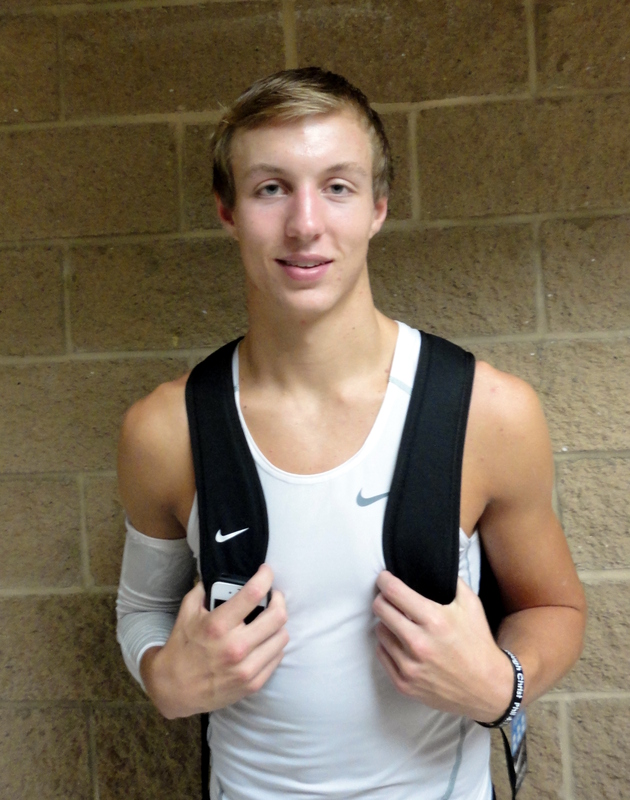 - Looking for a Duke player to blow up on the offensive end? Don't. Danny Ferry went for 34 points in 1989 against Seton Hall. Jason Williams also scored 34 against UCLA in 2001 and Bobby Hurley dropped 32 against Cal in 1993. Duke is 1-2 in those games. CHARLOTTE, N.C. - Duke was poised to have their first winning season since 1994 and had the Bearcats right where they wanted them, backed up on the five yard line on the verge of scoring, a long drive in place with a little over a minute left in the game. But the unimaginable happened. A fourth Blue Devils turnover turned a team on the cusp of jubilation to one that saw the longest pass play in Belk Bowl history create immense heartbreak just seconds later. It was a painful way for the seniors who helped lead their team to a bowl game to go out. It was a tough way for the under classmen as well and it was tough on the fan base and a solid turnout of Blue Devil fans. Some people will point back to the fumble from Josh Snead who rushed for over 100 yards in the game. But in reality, one could point to many things if you are looking for blame and no one play lost this game. When one takes a look at the stat sheet and you see a Duke win until you get to the turnovers. The Blue Devils had 36 first downs to the Bearcats 18 and they outgained them in yardage. Duke won the time of possession, were solid on third down while the Bearcats struggled in that area, but that season long bugaboo, known as the big play doomed the Blue Devils. When the game first ended it was hard to see what Duke had done well from the glare of a few mistakes. Some say football is a game of inches, others point to the Football Gods wrath but whatever analogy is being used at the water cooler today, it was a team loss where no individual should shoulder the blame. "We played well enough to win," said David Cutcliffe in the post game press conference and they did, save a play or two. Cutcliffe would later say, "We were that close," and they were. But to put the loss into perspective, one has to take into consideration where it all started. Redshirt Senior Lee Butler who started the season but was injured said it best mentioning that when he came to Duke, they were coming off an 0-12 season and he leaves knowing he helped his team to a bowl game. It wasn't that long ago that Duke was simply seeking wins. Heck, they were seeking a win! And a bowl game? That was as they say, a pipe dream. So, yes, Duke lost the game and the team which could taste victory saw it snatched away in a most cruel manner. But a foundation is in place and no matter where you look be it the future on paper or the continued improvements of facilities and the dedication the the program, Duke Football is headed in the right direction. To put the loss into perspective, they almost won. They were close to a win and close to a winning season. And you know what? The same was true about the North Carolina game going into the season or the Wake Forest one as well and Duke pushed through that wall this season with victories where they had failed misserably close before. Early in the Cutcliffe era, Duke just wanted a win, now people are expecting them and what a change that is. So the point is Duke has lost heartbreaking games in the recent past but as the seasons go along in the Cutcliffe Era, they've steadily broken through barriers for big wins. That said, mark it down for the day is coming when they have more success. And while rebuilding is still in the works, they will return to a bowl if they continue to work hard and maybe this time they'll come away with a trophy to put beside the Victory Bell. Coach K has his team playing at a high level. DURHAM, N.C. - Back in March, I remember sitting down and trying to figure out what to say after Duke's loss to Lehigh in the first round of the NCAA Tournament. I realized that there really were no words that could comfort anyone after the upset loss, so I told it like it was. The team did not look like a Duke basketball team that evening. The defense was suspect overall, and it felt as if Lehigh and Duke changed uniforms that day, for the guys in brown were the aggressors.Granted, Duke was without the services of Ryan Kelly in that game. That certainly affected team chemistry, and the Blue Devils had to alter their whole approach on the fly, but still, the performance versus Lehigh was very un-Duke-like. That realization served as an off-season motivator for all involved. Duke would later learn that Austin Rivers was taking his game to the NBA, and then there would be a couple of misses on prospects that the staff had recruited for a long time. Everybody in the media pounced, getting their shots in on Duke while they could. Rivals on the recruiting trail did so as well, going negative like never before. Over the summer, Duke Coach Mike Krzyzewski led Team USA to a second consecutive Olympic gold medal; two-thirds of his staff traveled with the team as well. The whispers began that Duke's team would not be as developed when the season started as they would have been had Krzyzewski not been "distracted" by serving his country at the highest level. In the pre-season, most in the media succumbed to the lazy "what have you done for me lately" shtick, failing to actually look at what the Blue Devils had on this year's team, and just assuming that Duke would not respond well to last season's tailspin and be the same team as the one that went out to Lehigh. Duke was not talked about in the same way as were teams like Kentucky or Indiana, at all. 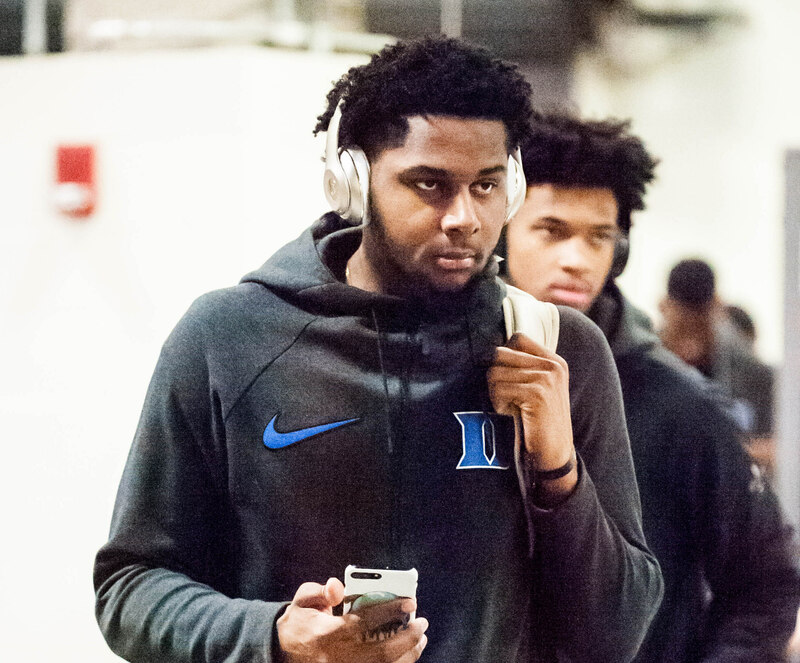 Many had the Blue Devils ranked in the mid-teens nationally, and many pre-season ACC projections surfaced with Duke being ranked third or even fourth in their own league. Locally, all the media could focus on was N.C. State, a team that had a decent late-season run in 2012 and returned many of its players, and they did add a big recruiting class. Nobody seemed concerned that this group really hasn't done a thing on the court yet. But the Wolfpack were the chic pick, and were eventually selected as the pre-season favorite. Those same people who picked N.C. State to win the league seemingly slept on the fact that Duke had three battle-tested seniors returning in Mason Plumlee, Ryan Kelly, and Seth Curry. They also chose N.C. State's Rodney Purvis as the pre-season ACC Rookie of the Year; he's the second best freshman on his team to date. While Purvis is truly a talent, there are few that would trade him today for Duke's Rasheed Sulaimon, who has been a coach's dream. In addition, the Wolfpack's talented C.J. Leslie was slated to be the ACC Player of the Year. This despite his history of inconsistency. In the meantime, Mason Plumlee, who worked all off-season to improve his game, was an afterthought. Over the summer when Krzyzewski addressed the media, there was the hint of a sly smile on his face when asked what it was like to be picked behind UNC and N.C. State, and how he felt about those two teams getting all the publicity. You could almost sense him licking his chops, loving every second of Duke being underestimated, content to have all the talk be about the others. History shows us that Duke and Krzyzewski are at their best when questions and worry abound. In 2010 they lost rising sophomore Elliot Williams via transfer to Memphis just before the season started, and there was talk that Krzyzewski -- coming off his successful duties with Team USA -- had neglected his day job. The fan base also went into "Chicken Little" mode, in particular on the message boards. "Duke has no athletes," many exclaimed, as they stated confidently that the Blue Devils would be a good team but was not a national contender. 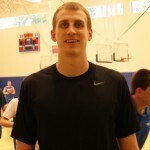 Duke would be running shooting guard Jon Scheyer at the point all season and were too slow to have any hope of competing, the minions claimed. There was doom and gloom in the air. We all know how history played out. Duke won the national championship with a spectacular run, with seniors and two savvy juniors leading the way. This year's team is comparable, but every team is of course unique. This time, all of the "What have you done for me lately?" types are being forced to jump on the bandwagon of an undefeated team, a team that is battle-tested like no other team in the history of college basketball at such an early date. What this tells us is that the Duke staff had a plan all along. Implementation of that plan meant the nation gaining another gold medal in Mens Basketball while at the same time Coach K and company were pushing all the right buttons in the off-season to maximize Duke's opportunities for improvement as well. Not an easy balancing act, but it's an accomplishment which is finally starting to be recognized. Duke does not look anything like the team which lost to Lehigh a season ago. They instead look like a team in every sense of the word. They play together, they're unselfish, and they are focused. Their defense is once again a strength. Each starter is a threat to score when on the court. The Blue Devils have taken on all comers in a season where there is no one dominant team, and they've done so in a way that has made it clear that this team will be a factor come March. After rolling through the likes of Kentucky, Virginia Commonwealth, Minnesota, Louisville and Ohio State, there will be no sneaking up on anybody. Duke is and always will be the team circled on an opposing teams' schedules, so tests are coming. There is plenty of work left to be done and a long season ahead, as the ACC season has yet to get underway, but what an early season resumé this bunch has put together. To date, the Blue Devils look as good as anybody. But now, the team must learn how to play with the weight of what will soon be immense expectations. The Blue Devils are now in an eleven day break, their longest of the season, after whipping another formerly undefeated team in Temple. 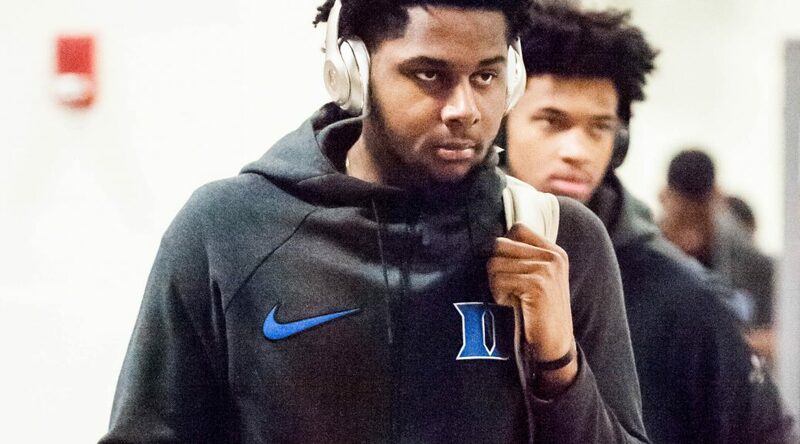 During this time, Duke will get plenty of hype, and the next stage for this team is handling new-found expectations, the same ones some of us had all along including a coach with a sly smile loving that his Blue Devils were being overlooked early on. Because if the question is "What have you done for me lately?" the answer to that question is "Plenty."